Polyurethane (PU) is a most commonly used polymer for various application such as rigid and flexible foams, coatings etc. Also another class known as biodegradable PUs are used in specialized medical fields like soft-tissue engineering, regenerative medicine and also drug delivery systems, However, the degradation of the polyurethanes derived traditionally from general diisocyanates like 4,40-methylene diphenyl diisocyanate and toluene diisocyanate gives toxic products. Therefore, it is imperative to find an alternative route for the synthesis of PU which involves least or no toxic reagents. The consequently formed products are named non-isocyanate polyurethanes (NIPU). 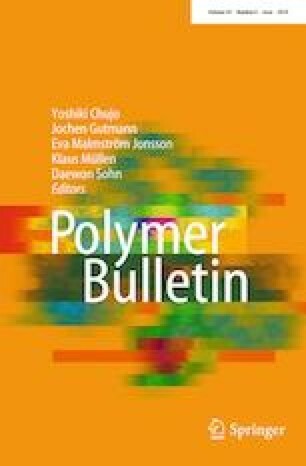 Recently, few alternative synthesis methods have been suggested by many researchers like a synthesis of polyhydroxyurethanes by polyaddition of diamines with cyclic carbonates. Such methods use functionalized vegetable oil as a biocompatible monomer which has led to a new range of biodegradable, renewable and sustainable source for NIPUs. Use of cyclocarbonates class of compounds has shown potential in the preparation of green PUs. Self-polycondensation reactions between AB-type fatty monomers bearing acyl azide and hydroxyl functionalities will take part. Here, the isocyanate group formation takes place in situ via Curtius rearrangement. The only disadvantage of this method is that the acyl azide groups are obtained by the harmful reaction of sodium azide with carboxylic acids. Bio-renewable sources represent a rich source of precursors for the synthesis of polyols and polyisocyanates. Many such sustainable routes for the synthesis of NIPUs reported in the literature are presented in the following article.